Just cleaning up this first post a bit so it's a bit more coherent and also removing some older image links that weren't working right. 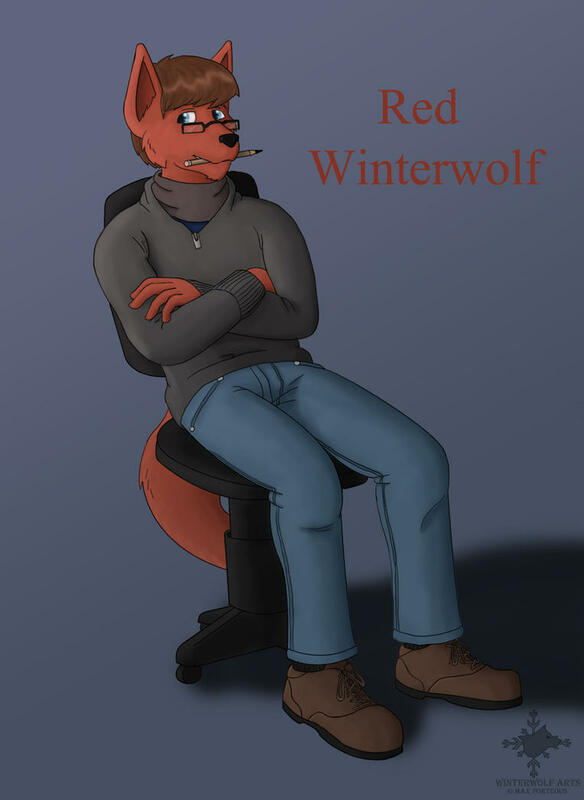 The names Red, and I've been up and about on the art side of the net for about 11 years now, first on dA and then later on FA. I try and draw a variety of stuff, mostly from my own story settings. The main two at the moment are The Pack, set in a near-future London where censorship and martial law are the norm and the underground movement of artists and musicians try and survive as best they can; and Prince of Ice, a sci-fi setting with an Empire, vast armies and the story of a warrior prince fighting against dire and varied threats to the kingdom he will one day have to rule. Feedback, critique and comments are greatly appreciated and sought after! Sorry, but I'm only seeing placeholders for broken image links. Oh, buggrit... I'll have to look at that tomorrow :( they work just fine on my end, so I didn't realise. As I recall, aren't we supposed to have 50 posts before you can link pics? I believe they show for YOU, because you already have the pics you're linking.... or something like that. Oh... Hum. Is there anyway I can link pictures instead? Would just the url do the job? A pain, yes, but it really helps to limit the spam posts that might otherwise occur. Oh, undoubtedly. Especially given how some people only seem to exist to be douches and pour all their effort into trolling. It's a shame I can't even post the url without it flagging it as a link, though. I wonder if there is a way to disable hyperlinks so people under 50 posts can still post urls for their art? [DOUBLEPOST=1443967914,1443730217][/DOUBLEPOST]Ok, gonna try embedding images from dA, since FA clearly doesn't want to play ball. Even if you only glance, could someone let me know if this embed actually work? Hey, that worked! Cute fox girl. Hoppy, I think that's a squirrel. With that white fur like that? No way... gotta be fox. ...(w0lfmare doesn't wear a hat). Yay, it worked! And yes, Niki is indeed a red squirrel =P Sorry Hoppy. Catcoa, yeah, the belts are literally just that; two belts hung through different loops. It's actually something she wears later in the story she is set in, as she starts to experiment with new outfits and gear. Glad you like it! William is the front-man of the band, and one of the main characters. I'll just pretend no one can see the abomination on the left, haha. 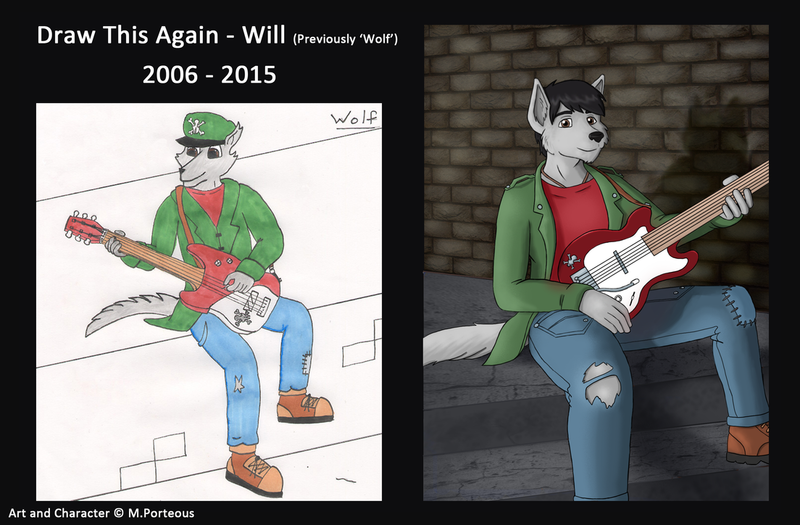 I like your 2015 Will drawing, you've improved a lot. lol. The irony in this statement, is that I actually bought a hat today. =P If you were wrong, I'd have to give it to you with ketchup! DANG! I just took a look at your Then and Now post. I must say that I was blown away with how much the art style has changed in both anatomy and rendering. Continue the work as you've got some mad skills there. 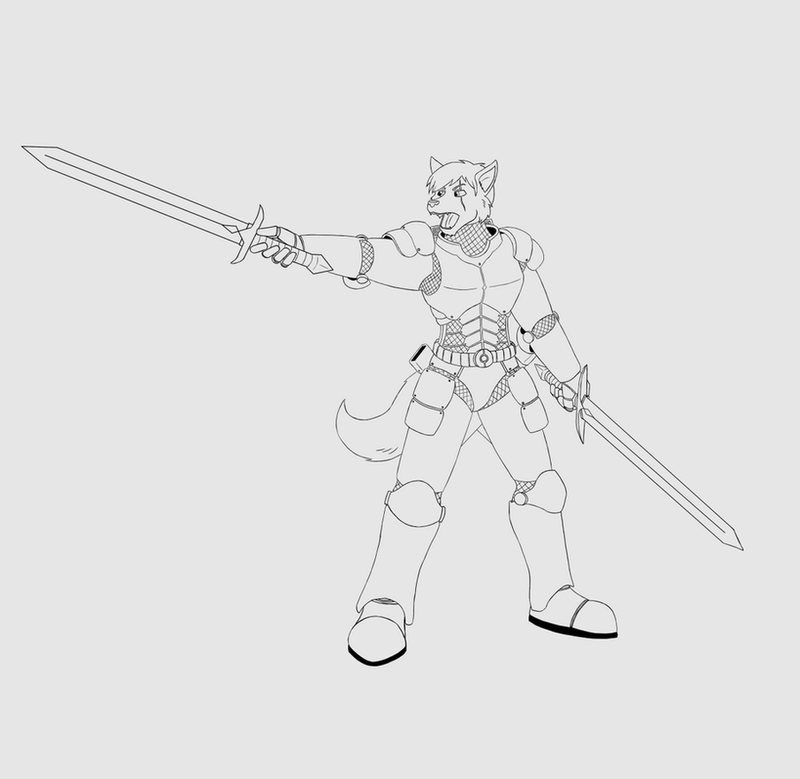 [DOUBLEPOST=1444898293,1444419467][/DOUBLEPOST]Finished the updated lineart for Niki. 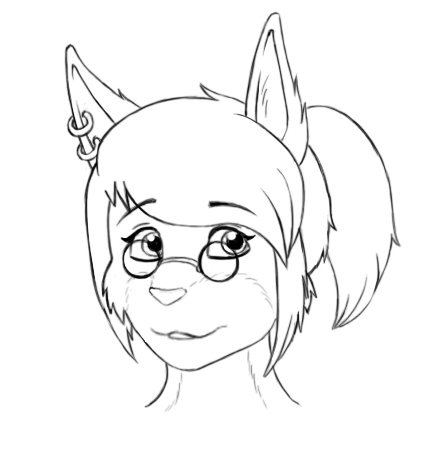 Now I need to figure out how to colour it, as I'm using Manga Studio now and not Photoshop. Stupid, over-priced Adobe, heh. [doublepost=1448964835][/doublepost]Well, got my reply back from the application for the Katbox slot. I'm not afraid to say that I didn't pass it, as that'd be obvious when the new comic/s come out. I would like to say a big thank you to the Katbox staff for their reviewing and feedback, though. All the points made were accurate and helpful, and are something strong and positive I can build off of in the future. At the moment, sadly, I need to work on time-management more than anything, to get into the good habits of drawing more, practising the things I need to, and just being consistent. Full time work and a house to run make that a bit of a pain at times, but it's an obstacle I have to overcome. I'm always up for seeing more fox gal art, but just for the record, at first glance I knew this gal was a squirrel. XD She's super cute. I have a soft spot for red squirrels. Currently working on a pic and scripting stuff for my comic project. Work is the only thing getting in my way, really. [doublepost=1453891337,1449699539][/doublepost]I'd like to put a shout out to say that I am still offering commissions, and, right now, would hugely appreciate if people could at least have a glance, or pass around the word if they know anyone who is interested in getting art done. Right now I keep getting hit with bills, first for my car, then our dog, and our house, as one thing after another breaks and needs fixing. On top of that, I'm trying to save for a wedding (mine) in 2017 which, at the current rate, isn't going too well in terms of funding. I don't want this to sound like a sob story, and I know that a lot of people will have a lot of junk of their own going on in their lives. But even some interest is better than none, eh? A picture that was actually a few years old before it got finished, an update for the main character of one of my stories; Alaric, the crown Prince of Fenrisia. 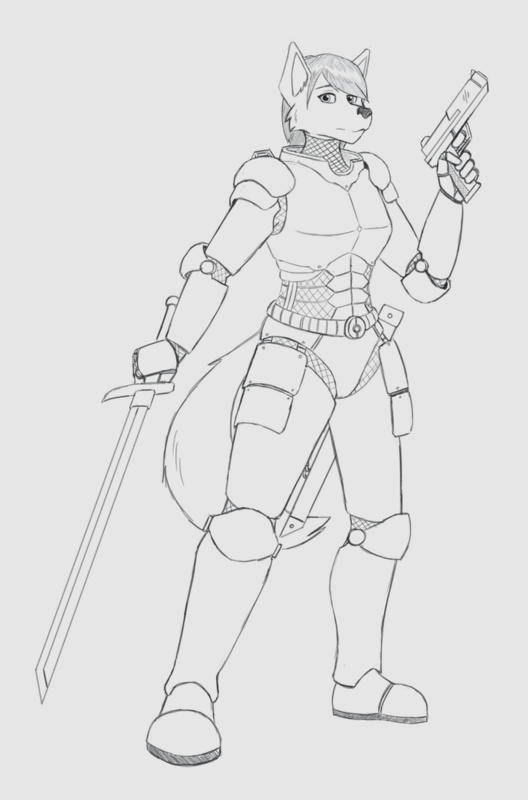 A much more recent and up-to-date picture, of Alaric's bodyguard and Royal Guard Captain, Sasha.